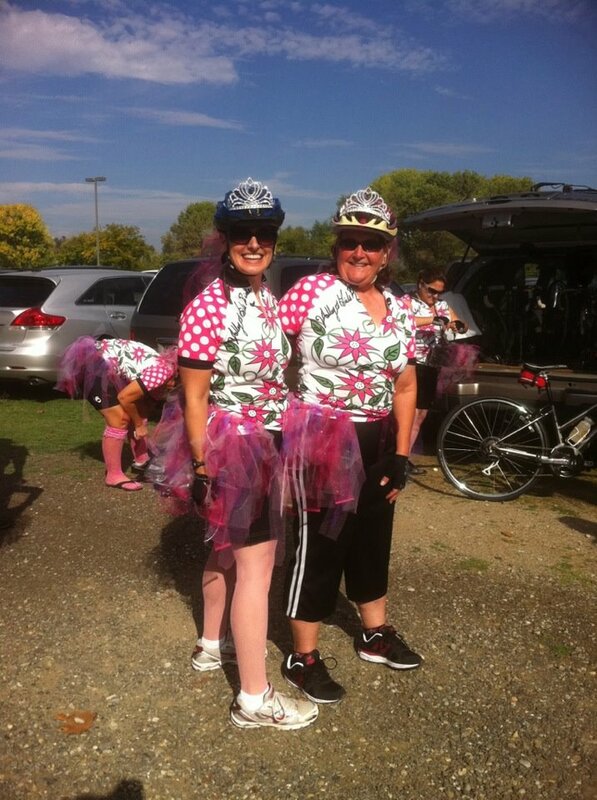 After moving here to Fresno in July 2011, a group of women from the temple encouraged me to join them cycling. I had done a bit of cycling in college at UCSB, mostly as a means of simply getting around campus and into town. Rick was really into cycling back then and tried to get me into it with varying degrees of success. But I never really became a recreational, let alone long distance, cyclist. Having now been back on my bike for a year, and riding what I think are good distances (20-30 miles a ride), I have had some time to reflect on the lessons I have been learning as an amateur cyclist. 1. HELMETS PEOPLE! Far too often I see people speeding by me without wearing helmets. What are these people thinking?! The first thing I did when getting back on my bike was buy a new helmet. Safety first! 2.Bal Tashchit – the Jewish value of protecting the environment. Here in the California Central Valley we ride through orchards and vineyards and along gardens. We ride over rivers and creeks. On clear days we see vistas that include the majestic Sierra Mountains. We see lots of animals, wild and domestic – ducks, geese, hawks, horses, “Squirrel!”, dragonflies, herons… Sadly, along the side of the road we see our fair share of roadkill too. Those who know me know that I am PETRIFIED of snakes. Stop-dead-in-my-tracks-can’t-breathe-can’t-talk scared of snakes. Over the past year I have shared the road with many roadkill snakes and thankfully only 1 live one that we saw crossing the bike path. Thankfully, I did not fall off my bike when I saw it slithering in front of me. I love to see the flora and fauna of our beautiful state, and I have great appreciation for the beauty of our world. Each time I experience a moment of majesty and beauty I pause and say a short blessing. My new cycling hobby though has pushed me to try to extend that appreciation to those legless/wingless/finless creatures that freak me out so much. Its been a challenge but I am finding my compassionate spot for the unfortunate snake that has met its end along the side of the road. 3. Perspective impacts our understanding of the world. My experiences of the road and the world from the inside of my car and from my bike are so very different. A street that may appear flat from the inside of a car may actually have an incline that would only be noticed when traversing it on a bicycle. I am learning to pay closer attention to the small details of the world around me. 4. Challenges can come from any direction. Here in the Central Valley, you never know what direction the headwind will come from. On one day we could have headwinds coming from north, south, east and west. The wind changes its direction given the hour of the day, the temperature, and probably its mood. We never assume that because we have a headwind in one direction we won’t have it also when we turn around and return. So too, can challenge in life come from any direction and opposite directions. But we must shift gears as necessary and push through. 5. Friends help carry us and Don’t be afraid to ask for help. 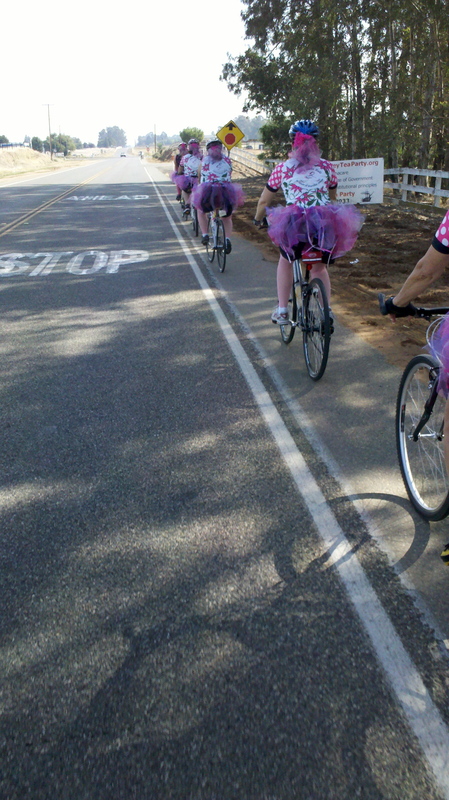 Cycling in a group requires one to learn how to ride as a team. When riding single file, the person in the front of the group actually helps pull the rest of the line along. And when we get tired, or the challenges are just too big to face alone (see #4), ask for help. For surely, if I help you today then you can help me tomorrow. 6. Balance and Always listen to Dad. Last spring I thought I would try to advance my cycling skills by transitioning into clips. After my first try with a friend watching and coaching me, I thought I would give it a try practicing on my own. Long story, short – I fell twice and injured my elbow, leaving me without cycling or other weight bearing exercise for 8 weeks. At that time my Dad said to me, “What are you thinking? Why do you need these clips? You aren’t running races or anything.” He was of course looking out for me, wanting to make sure I would keep myself safe. Other members of my family said similar things, including my 14-year-old son. Finally, after several weeks of physical therapy, I got the go ahead to return to my regular exercise routine – especially yoga, which would help me restrengthen my arm. On that first morning back on my yoga mat, I felt like I was coming home to a place that I had missed for a long time. Through that first challenging practice, I realized that I needed to maintain balance in my life. Cycling is fun. I can do it with or without clips and have just as much fun and get just as much exercise. Yoga is important to me too. And other hobbies are important as well. (It’s hard to navigate the kitchen with only one arm as well.) At that moment on my yoga mat I realized that I don’t have to be the best, the fastest, the most advanced in order to reap the benefits of my newfound cycling habit. Balance is what it’s about. Balance the different interests in my life so that I can enjoy all of them. And, of course, Dad was right. I think you’ve accidentally spoken directly to me today. Thank you!